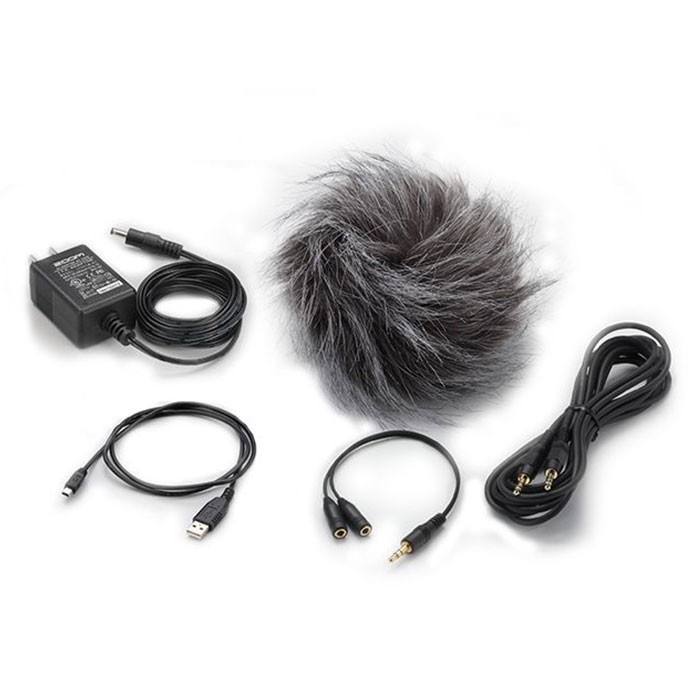 The Zoom APH-4nPro Accessory Pack is designed to expand the usability of the H4n Pro Handy Recorder. Among other uses, it is intended to facilitate a greater connectivity with DSLR cameras. The pack includes an AC adapter for maintaining power during long recording sessions, a windscreen for reducing wind noise in the elements, a USB cable for connecting to Mac and Windows computers, a splitter cable to allow for monitoring on two headphones, and an attenuating cable for connecting the line output of the H4n Pro to the microphone input of a DSLR.